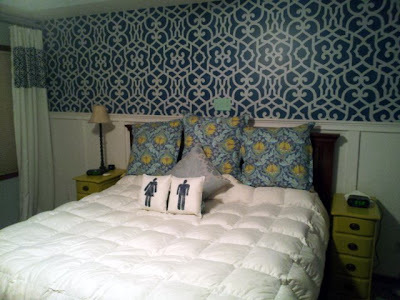 Mandy's been working on our master bedroom for a while now (18 months). Stencil on the wall. New side tables. Refinished dressers. Handmade curtains. New pillows. And pillows. And pillows. Did I mention she made pillows? Me: Do you have finished picture of our master bed with all the pillows on it? Mandy: Not yet. 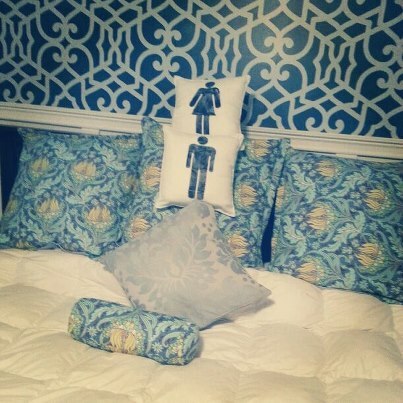 I still need to make two more pillows. 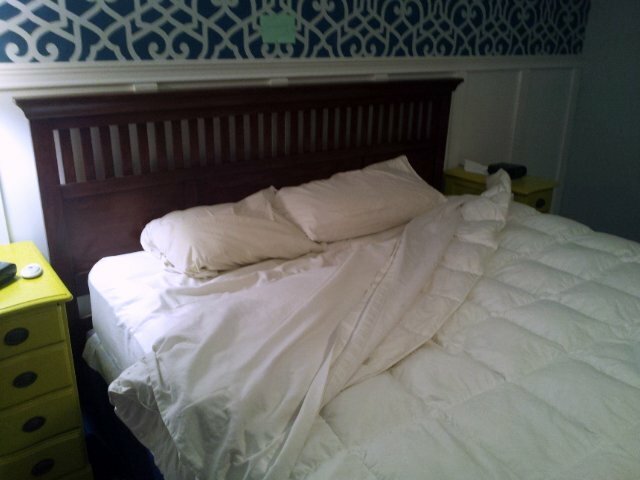 If you're like me, you're a little awestruck and have some questions about this pillow phenomenon. Q: How many pillows are on your bed, Trevor? A: 10. Four of them are hidden in this picture. Q: Do you really make the bed each day? Q: Do you use all of these pillows? A: Certainly not all at once. I prefer to rotate them and use a different one each night. If Mandy had her way, we'd have enough pillows to use a new one each day for a month. Q: Where do the pillows end up each night? A: Each night I build a little mountain of pillows next to the bed. Soon it will be a big mountain. I with you. I don't really get the pillow thing. Our bed has two - one for me and one for my husband. Someday I'd like to have 4 but that might be too crazy of a dream. ahahaha, ever seen Along Came Polly ? Funny movie with jennifer aniston and ben stiller. So funny. He has a lot of pillows and Polly convinces him they are a waste of time. Youtube that clip. My hubby has a six pillow rule! He even stated it before we married haha! Lol!! 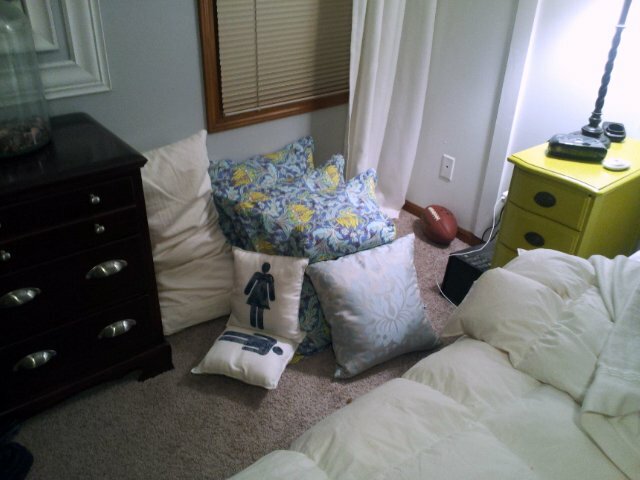 I have some cool pillows I got in swap but I'm too lazy and they usually stay in the little mt on the floor. I'm way behind, but I just had to say - 12 hours watching Lord of the Rings is some well spent time if you ask me!